BROOKLYN, NEW YORK--(Marketwired - Dec. 19, 2013) - In 1972, Bobby Fischer defeated Boris Spassky in 'The Match of the Century,' a battle recounted on television sets and newspaper covers around the world. Next October, the Millionaire Chess Open hopes to garner similar attention by offering competitors the wealthiest prize in Open chess history. The Millionaire Chess Open will be held over Columbus Day weekend October 9-13, 2014 at exciting Planet Hollywood in Las Vegas, Nevada, and boasts a total of a million dollars in prizes - a record payout for an open chess tournament. The tournament is the brainchild of International Grandmaster Maurice Ashley, a world-famous chess commentator often called on to be the voice of some of the biggest chess matches in the world. Mr. Ashley also served as the organizer for HB Global Chess Challenge in 2005, a $500,000 Open that - until now - claimed the record title. Ashley is excited to finally announce the Millionaire Chess Open after months of preparation, and invites chess players of all levels to join him in Las Vegas for an event that will make chess history. "I am thrilled to be a part of this exhilarating tournament," states Ashley. "To offer players a chance of winning part of our million dollar prize pool in one the most exciting cities in the world has always been a dream of mine to organize." Mr. Ashley will be assisted by Millionaire Chess Open co-partner Amy Lee, an entrepreneur helping to back the event, and the technological creativity of the MIT Media Lab, where Mr. Ashley serves as a Director's Fellow. The Media Lab will be represented at the tournament by MIT Assistant Professor Kevin Slavin and members of his Playful Systems research group. "We are inviting up to 3,000 participants to a tournament that will electrify both fans and media around the world," stated Mr. Ashley. "The technological innovativeness that the MIT Media Lab brings will also allow us to present chess in ways never seen before. Hundreds of thousands of fans will be able to witness the top chess players from around the world in action live and online. We fully intend to make this an event like no other." "The Millionaire Chess Open aims to place competitive chess beneath a global spotlight," stated Ms. Lee. "We want to bring a sense of luxury into the game, and we believe that nothing adds as much excitement as setting record stakes!" 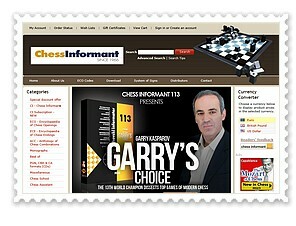 Chess players from all over the world are welcome to register for the tournament on the tournament website MillionaireChess.com. MCO will take place in Las Vegas Nevada at Planet Hollywood October 9-13, 2014 and boast the record for the highest stakes in chess. Entry is only $1000 with a chance to win up to $100,000 for a total of $1,000,000. 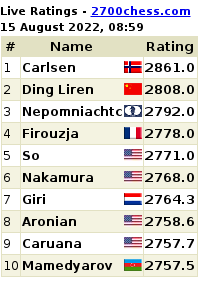 Registration: www.millionairechess.com.